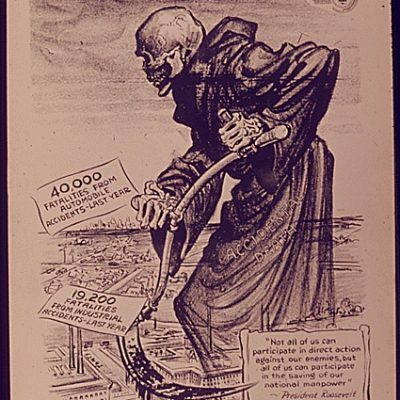 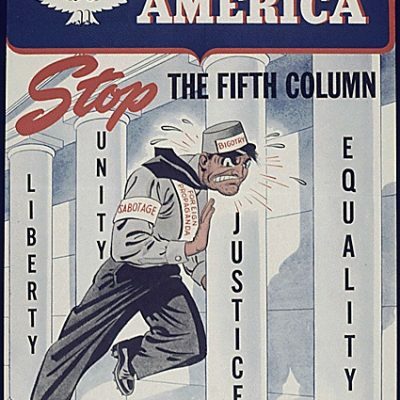 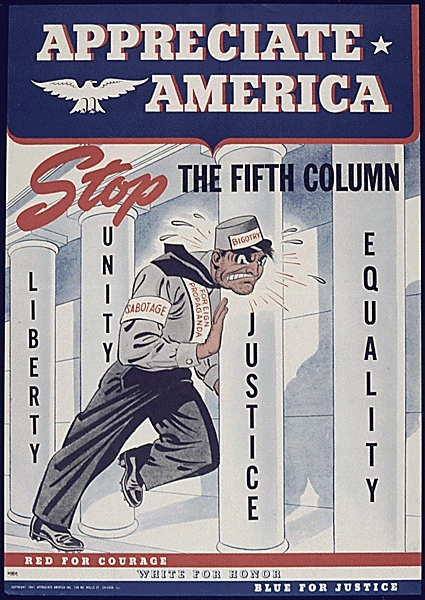 Public concerns about the so-called Fifth Column—undercover ranks of enemy saboteurs aiming to damage American munitions production—were common in the United States during the war. 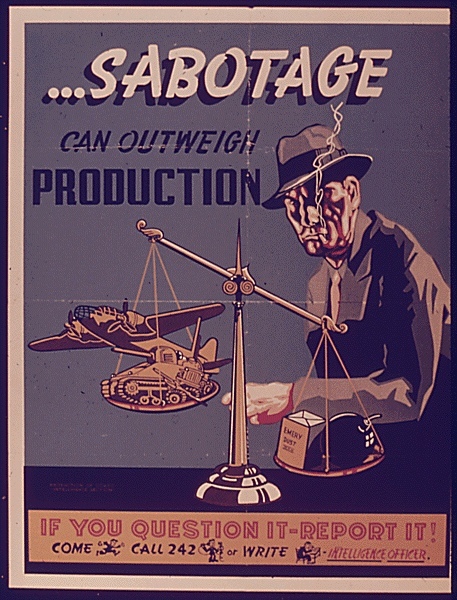 Although few documented incidents of sabotage ever took place, the 1942 capture of eight German agents on the home front stoked fears that more saboteurs were already in place. 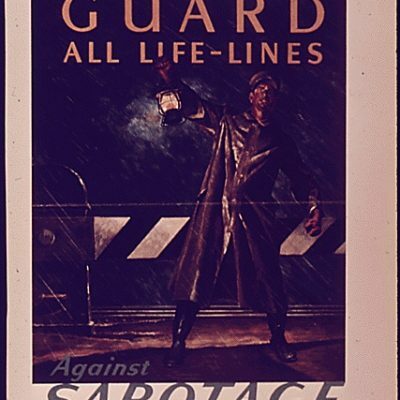 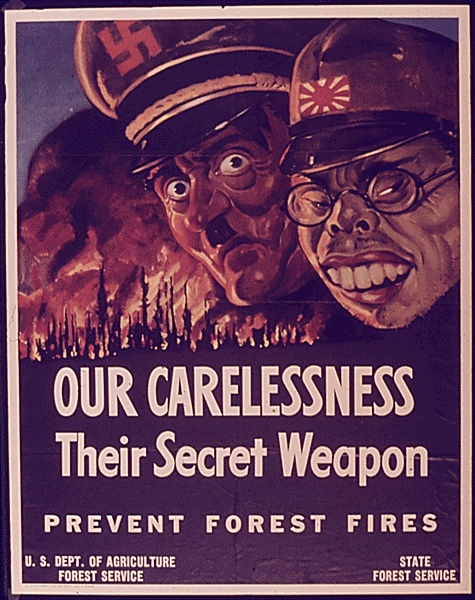 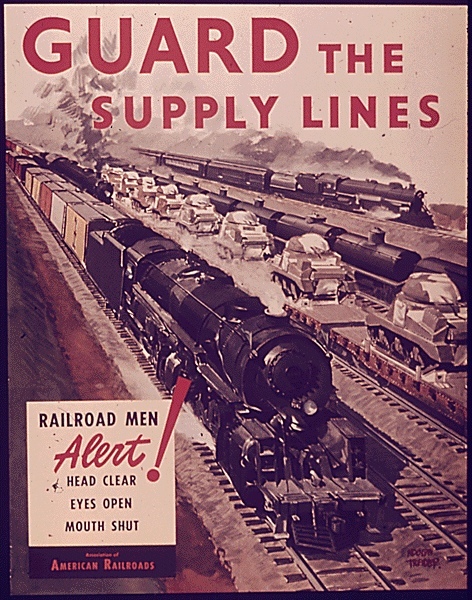 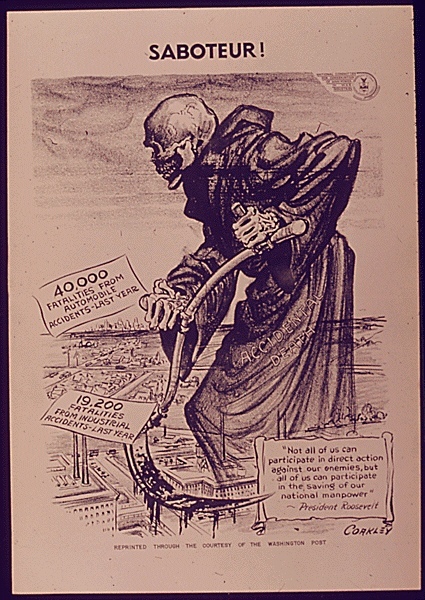 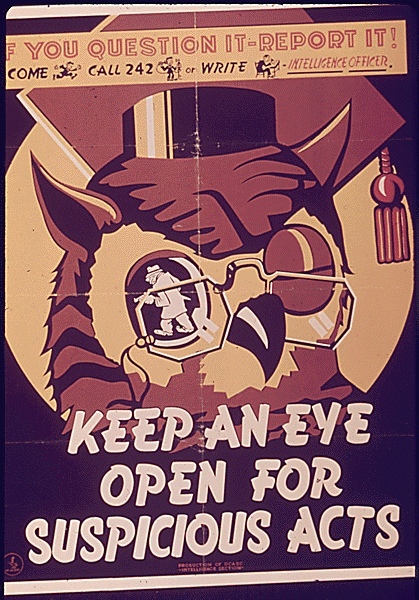 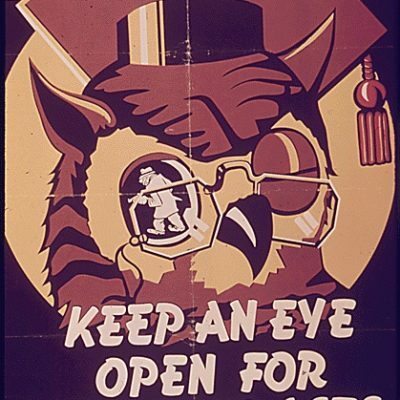 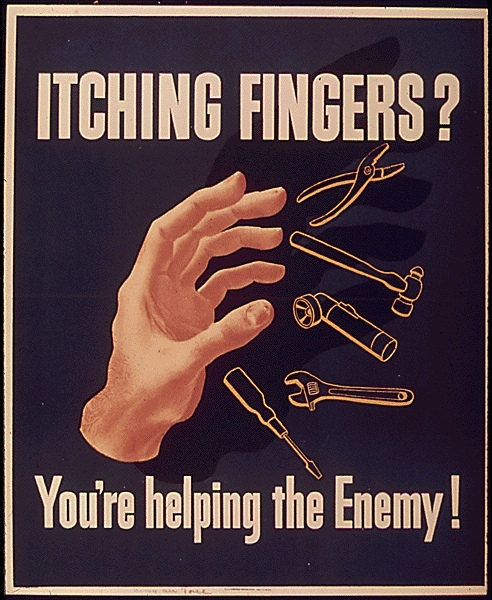 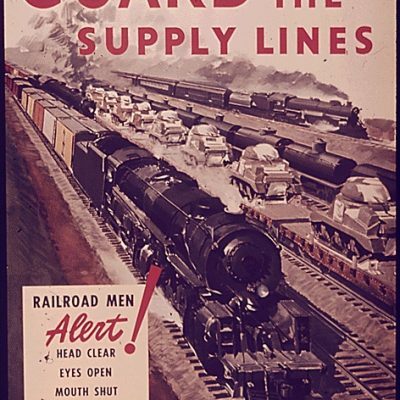 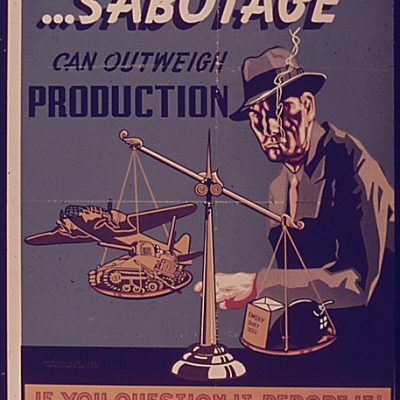 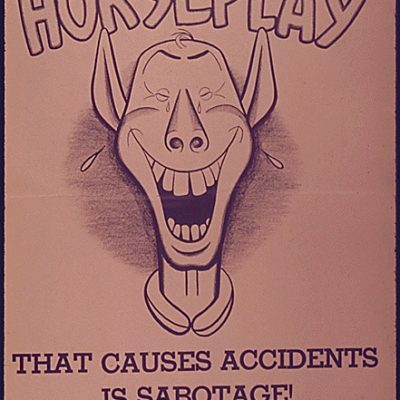 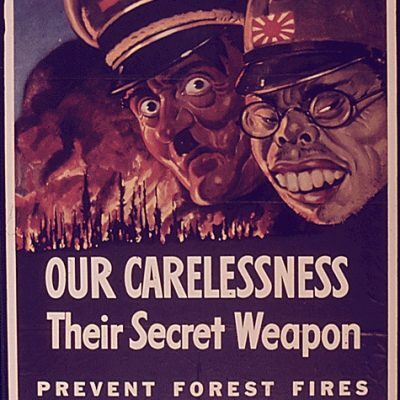 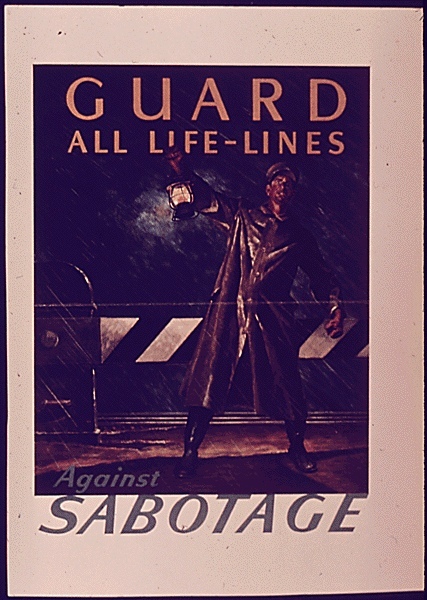 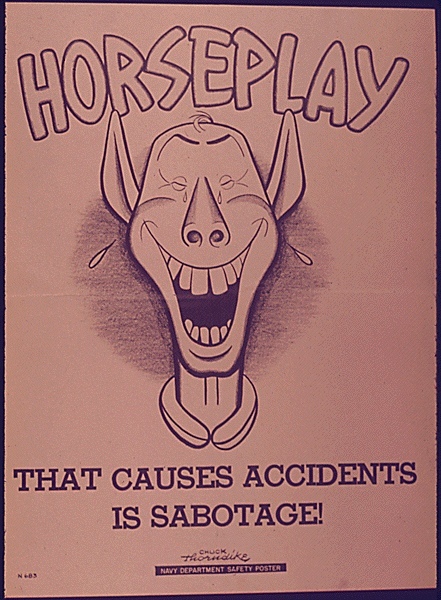 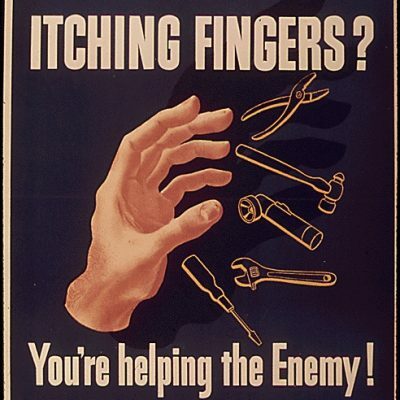 Numerous posters therefore encouraged Americans to be on the lookout for suspicious behavior, as well as to avoid actions that would unintentionally aid saboteurs in their mission.